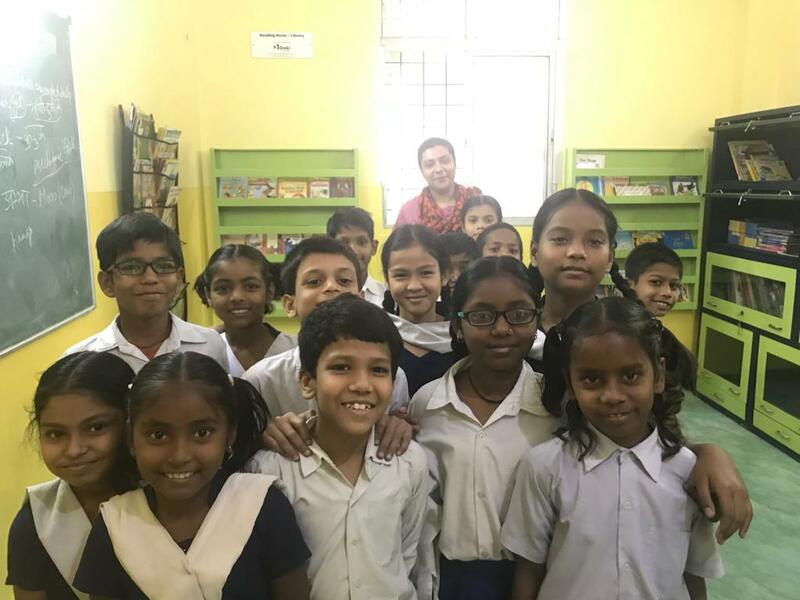 Deki has set up a Reading Room/Library in Nai Disha Free Education Society – a Noida-based NGO that operates a free school for children from disadvantaged backgrounds. This initiative is aimed at sparking interest and curiosity among these children to develop a love for reading. Our objective is to enhance the children’s primary education by something more than rote learning by inspiring them to cultivate a taste for reading and exploration. A part of this effort is to also train teachers to act as guides and coaches. Deki funded the refurbishment of the Reading Room along with new furniture and a library of age-appropriate books from various genres. The program is staffed by a team of volunteers and a teacher who are trained to conduct read-aloud sessions which has been found to be the most effective way to encourage reading and thinking. Our goal for the program is to enhance reading fluency in English and Hindi as well as ability to think creatively. This effort rests on the belief that the read-aloud sessions not only enhance the students’ familiarity English vocabulary and grammar, it also contributes to improving their listening comprehension, pronunciation, and bi-lingual capability.